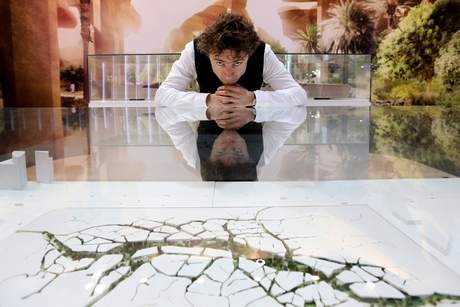 Thomas Heatherwick has released his proposals for the new Al Fayah Park is Abu Dhabi. 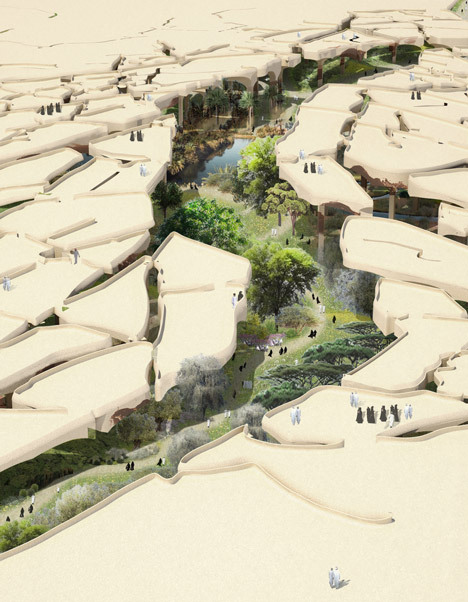 His endless talents are now taking landscaping into new worlds, first with the Garden Bridge over the River Thames in London and now with this proposal for a new park in Abu Dhabi of which he says: “It’s not a conventional building and it’s not a conventional park. It’s part architecture, part landscape, part cultural destination. It even includes a library.” said Heatherwick of the new park which will be located on Airport Road opposite the Dome@Rawdhat. 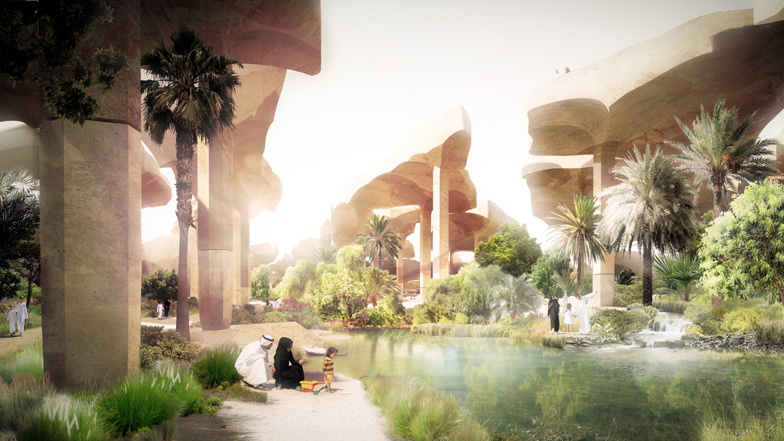 The new 125,000 sq m Al Fayah Park, which Heatherwick describes as an “articulated landform”, apparently takes its inspiration from the topography of the Emirates and will features a cracked, sabkha, or salt flat sandy-coloured landscape that will rise 20 metres above ground level to provide partial shade to the plants underneath. Construction is expected to begin by the end of the year and will be complete in 2017. The brief for the park is ambitious. Once established, it will supply fresh fruits and vegetables to local cafes and restaurants. 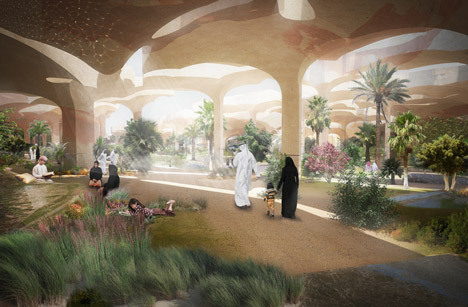 It will also include a public library, picnic areas, a mosque, an outdoor cinema and spaces for performances and festivals in addition to play areas and exercise paths.It will showcase flowers and plants from the Arabian Gulf region. The park is designed to benefit local residents and attract international visitors as part of a strategy for the city to have 130 parks and play areas by 2017.